191 m2 (= 2,056 sq.ft.) 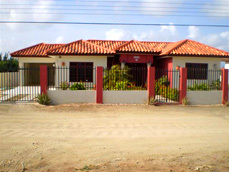 3-bedroom, 2-bathroom, very nice house, with decent yard, located in Noord, in a new residential area, short distance drive to the high rise hotels, beaches and the golf community. The house consists further of a living room, dining/kitchen area, garage, porch and is completely fenced. It is a very quiet neighborhood. The property is at a short driving distance to commercial activities of Noord, such as supermarkets, banks, school, churches, etc. Amenities: Cable, phone and internet connections, available. Remarks: Very good maintenance condition. List price: Afl. 3,150 (US$ 1,780) per month. KING DAVID SUITES 2-bedrooms, 1-bathroom spacious and elegant apartments, consisting of a livingroom, dinning corner, kitchen, porch, parking infront of the apartments, Cable TV and fully loaded/ furnished. The complex is foreseen of a common used swimming pool, recreation area and WI-FI connected site. 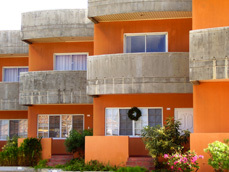 The apartments are located at a walking distance from the high rise hotels, beaches, restaurant, business area and short drive to the golf courses. 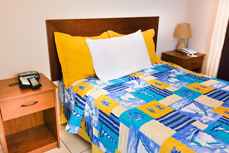 Amenities: Located not far from beaches of Savaneta. Remarks: Very good maintenance and repair condition. List price: US$ 1,250 per month, six month or more, gas, electricity and water, excluded. US$ 2,800 short term, per month, utilities included. US$ 1,500 for two (2) weeks, utilities included. US$ 750 per week, utilities included. CONTACT US FOR MORE HOUSES AND/OR INFORMATION. "We make no promises, but care about our clients"